With the holiday shopping season in full swing, the Internal Revenue Service and Security Summit partners warn taxpayers to take extra steps to protect their tax and financial data from identity thieves. Did you know? The most common method for cyber-thieves to get personal information is simply just by asking for it through email. We recommend NEVER providing personal information via email. 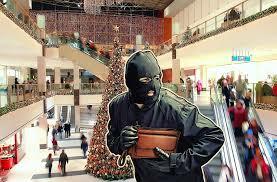 Remember – While you are Holiday gift shopping online, cyber-thieves are also shopping online for your personal information!